Divigo Stables is the company for specialized transport of miniature horses and pony´s. Next to the smaller horses we are also able to provide you the transport for "big" horses. The horses are transported, within the European community, with reliable equipment. 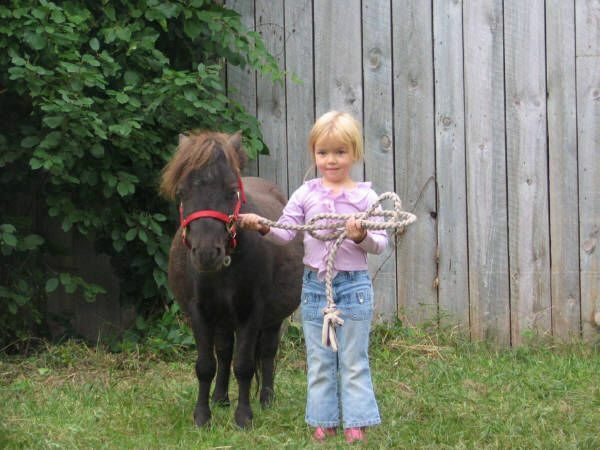 As we breed miniature horses ourselves we know what specific attention the smaller horses need. We maintain a partnership with BS-Horse Service BV (one of the bigger horsetransportcompanies in the Netherlands.) This partnership enables us to make a success out of each transport. No matter if it concerns 1 or more horses or whether the horses need to be delivered in Denmark or in Spain it is all possible. 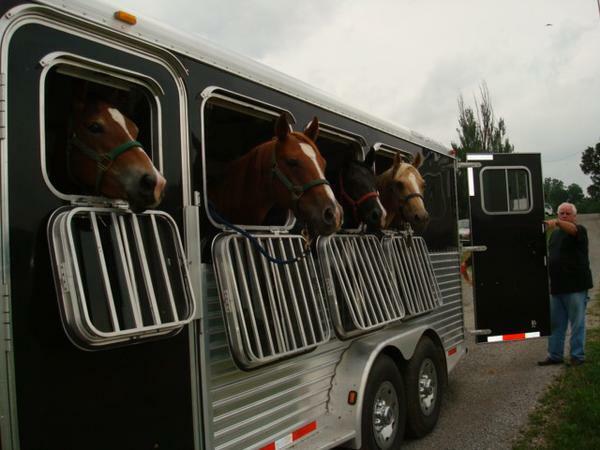 Fees for horse transports by land vary per transport, and are not just based on mileage. As each client has his or her specific wishes, this will determine the transport cost e.g.one way, return, waiting period, national, international, one or more etc., etc. You don’t have to have a lot of talent and skills to know how to bond with your horse, you just need patience, a great amount of understanding and of course, love. Owning a horse is extra work and just paying the boarding, and letting someone take care of them half the day does not determine a strong connection. A bond is created away from stress, workload, and demands, as horses are accustomed to quiet places. A bond begins when you genuinely take care of them and this guide will help you to exactly do that. Be consistent, fair and firm as a leader. Always communicate clearly regarding your horse’s behavior. If you ask your horse to “wait” until you completely open a stall door, and he knows how to do that, don’t be too strict and handle him hard, instead, be fair. Don’t expect a horse to do something he is not trained. Also, be consistent every time you ask the same tricks since horses are creatures of habit and they will likely remember. Don’t just appear during feeding time or work time. Don’t show up when you’re about to feed your horse or immediately ride them when you want to. We may get busy sometimes but try to take time to visit them. Simple things like reading books beside them, scratching their necks or bellies, bringing treats or just simply hanging out is a relaxing way to bond. Be sure to understand your horse’s body language. When you shape your own body language and understand your horse’s body language, it helps you to communicate better and create a closer bond. This has to be done consistently and other behaviors that you have taught would only be temporary if your horse does not know what to expect from you. Learn to understand your horse by observing its facial expression, tail, ears, and posture. Grooming time can become bonding time. Allogrooming is a very common behavior in horses. Allogrooming is when two horses nibble each other’s back or scratching each other. This is why grooming your horse is a pleasurable way to bond. Especially when you brush their out-of-reach areas like the chest, legs, etc.. Respect that your horse is a horse. 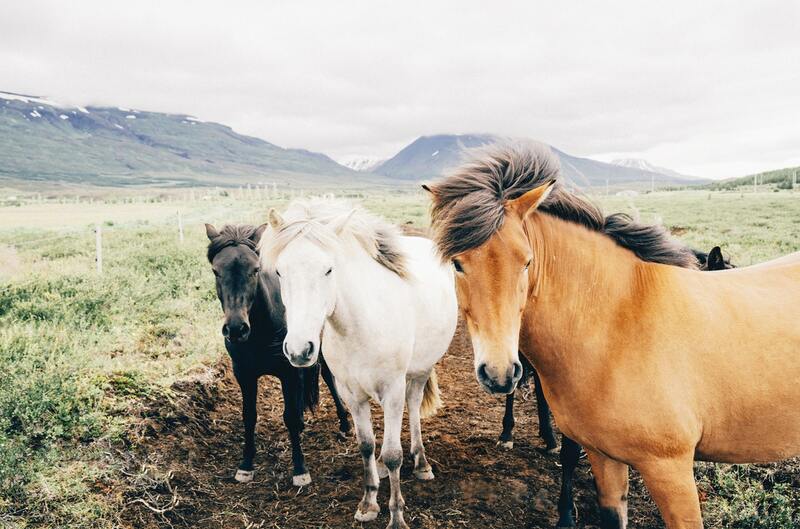 Your horse also needs the companionship of other horses, not just bonding with you alone. They don’t care about the things we do – color, breed, size or perfectly kept stalls. They want shelter from a storm, good grass, water and companionship, and leadership from someone they can rely on. Massage and other therapeutic bodywork. When you learn the basics of equine massage or other massages can help you create a better bond with your horse. If he knows he can rely on your during relaxation, then he will surely enjoy spending time with you. 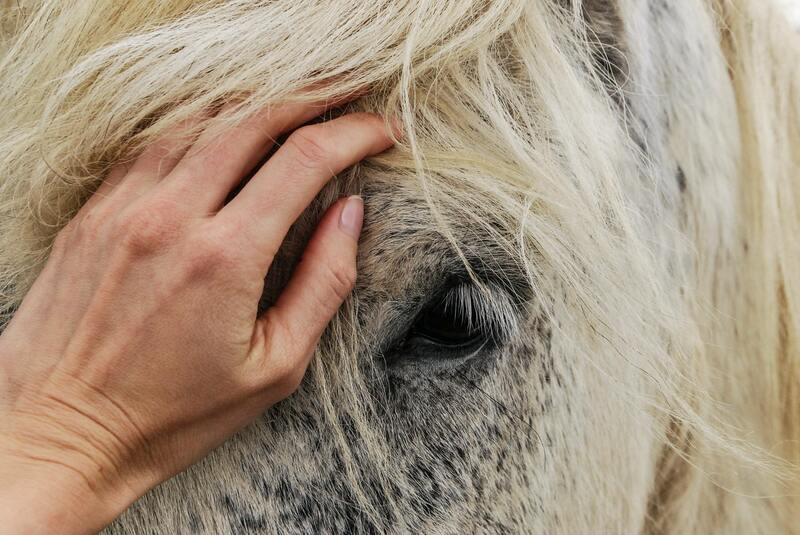 Not only does massaging relaxes your horse, it can also improve his overall performance. Last but not the least, always experience things together. The more you interact with your horse, the more you understand each other. 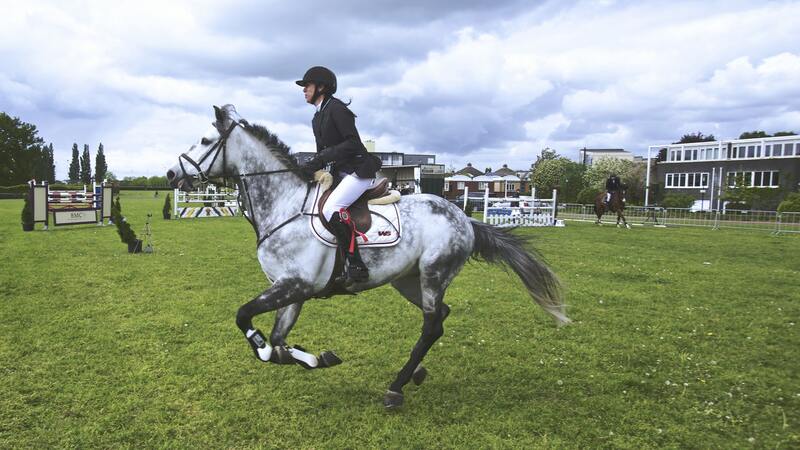 You may have heard competitors claim their horse looked after them during a competition. Their bond with their horses developed and strengthen based on mutual trust in difficult situations. Owning a horse can be quite expensive and comes with great responsibility, and all future horse owners should know what to pick. You may get carried away by those shiny hair and unique colors. However, the wrong horse can ruin your fun of horseback riding. Below are the three things you should consider before buying your first horse. There are a number of reasons why choosing a horse of the right size is important. It has a big impact on its physical capabilities and limitations, and size is also important in the show ring. For example; if you have two equal horse with riders that both made a perfect performance, and one is mounted on a horse of appropriate size while the other is a 6-foot man mounted on a 15 hand horse. The possibilities are the blue ribbon will be awarded to the first pair. Why? The overall picture of the team is more pleasing and fitting. If you want to buy a horse for showing, then size is definitely something to take into account. A horse’s conformation and breed both play into its suitability for different kind of jobs. Horses were bred a certain way through the centuries for reasons and it is important to research the breed you’re planning to buy. If you want to compete in endurance competitions, an Arabian horse would be a suitable choice as they’re known to be intelligent, loyal and spirited yet gentle. If you want a horse for ring shows and that can hop fences, a warmblood is a better option. 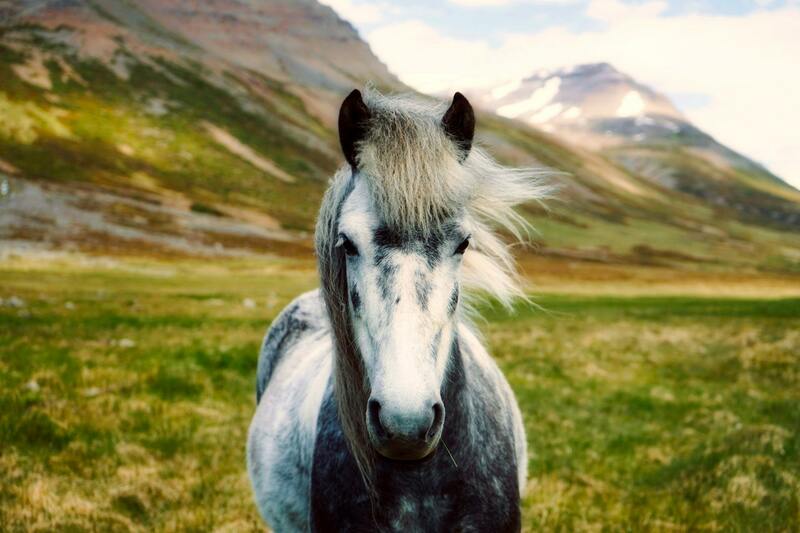 Even within breeds, a horse’s structure comes into play. Some horses have higher-set neck while others have a more upright shoulder, all these things can affect how well they can perform specific tasks. The personality of a horse may be the single, most important quality when you choose one. Horses are just like us; we don’t get along easily. And when you’re about to spend tons of money on a four hundred kilo animal, you have to make sure you get along well and not just the one that merely tolerates you. Riding a gelding (male horse) is very different than riding a mare (female horse), but even with the gender, each horse has its unique feature. There are some horses that are lazy and needs to be pushed and some are so enthusiastic and needs to be calmed down and held back. 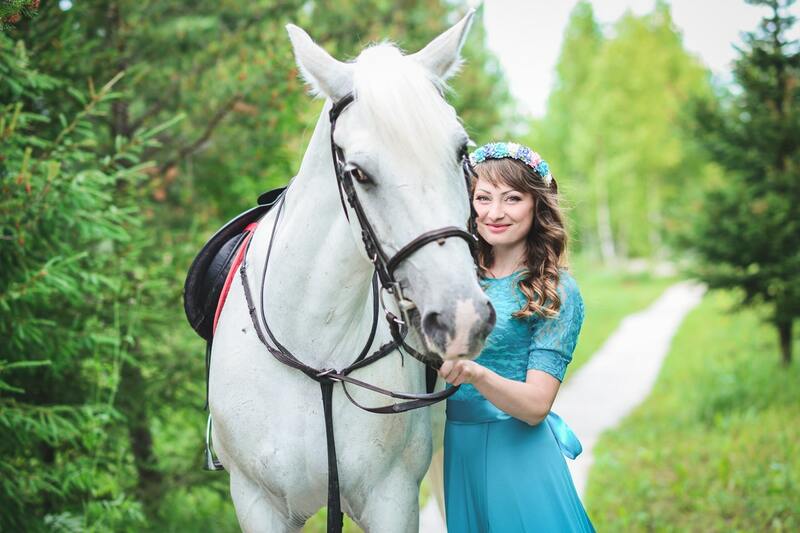 There are also some people who want to learn how to ride both types, but when you’re going to buy one, it’s probably best to choose a horse that matches your style. Personality also encompasses the indefinable quality of a heart. Some horses just don’t care and others care too much, try their best, and these horses are the ones who become champions. In fact, the heart is so powerful that it can make up for some less attractive qualities; in the Olympic 1984 Show Jumping, Gold Medal winner “Touch of Class” was a hot, small-sized Thoroughbred mare, all generally unattractive qualities in the world of show jumping, where much larger Warmblood horses are desired, but none of that mattered because she had a heart. Choosing the right horse is a big commitment and comes with a lot of hardships, but if you keep these 3 things in mind then you’ll have the most wonderful time of your life with your soon-to-be equine partner. There’s 1 tool that every person needs to have to be able to successfully operate with horses. It’s a tool that is of more importance than any other tool which you might possess. You can’t buy this tool at a feed store or order it on line. It is a tool that can make all other tools of the transaction more useful. And with no other tools worthless. This tool is confidence. A sort of fearlessness in the face of a creature that could very easily hurt you at best, and kill you in worst. A horse by character does not really communicate its wishes through verbal commands. I need to address the fact that if you step in their world your body language will do the speaking for you. You need to learn what they’re saying and be able to anticipate what they are about to do. The more fluent you become in speaking their language the easier and safer your horse experiences will end up. A horse is a prey animal. It succeeds through picking up on the slightest signals around it. It is also a wonderful reader of things hidden. They have a sixth sense of sorts, filtering in information from between the lines, in addition to directly. When you venture into their space they’re picking up on so far more than what you’re doing. They can feel what you are feeling. They’ve a sponge like ability to absorb what you are feeling especially anxiety. It is very important to remember that whenever you’re feeling nervous or worried so is the horse. This signals to a horse that they need to be ready to flee because danger is about. Unfortunately they don’t understand this to a person who lacks confidence they’re often the danger that is around. So whenever you are going to interact with your horse or any horses for that thing, you want to really be aware of the feelings you are projecting on them. You want a quiet confidence, a feeling of relaxed energy, which will allow them to stay calm in your presence. And over time you will develop this quiet confidence more and more. What do I mean with silent confidence? Well silent confidence comes from a sense that you truly know that everything around you is alright and that you’re in control of the circumstance. It speaks of an actual leadership state of mind. If you would like to have a natural leadership role with your horse, this is the key, quiet confidence. When you find people yelling and screaming at their horses teetering on the edge of abusing them into doing exactly what they want, they are responding out of fear or anger. Stress and anger don’t make for good leadership qualities. Horses understand that when you are out of control you can’t restrain them. 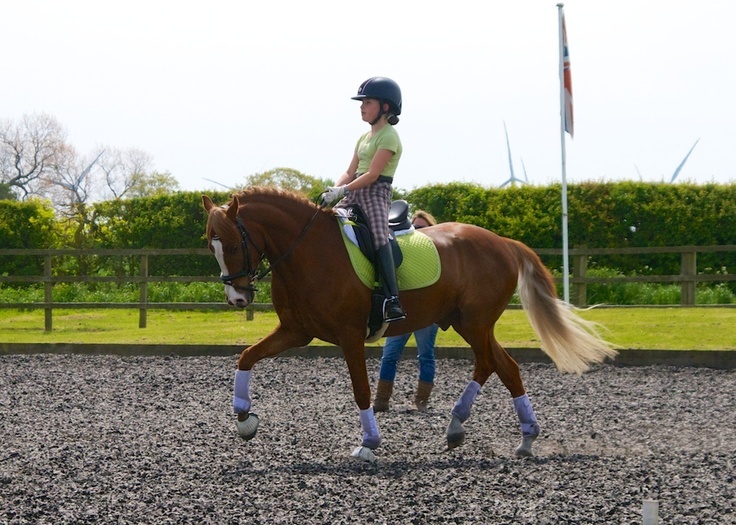 Before you can have control of your horse, you ought to be able to control your self. The horse knows this and you need to learn it before going any further. Concentrate on understanding that with a horse dread is a sign of danger or weakness. Weak people do not lead horses, weak people get pushed around by horses. When a horse senses fear it also can become nervous and ready to flee for safety. When a horse doesn’t react to something you want it to do and it makes you angry you need to have a psychological timeout. Horses do not lead through anger. Horses lead in 1 way and one way only – quiet confidence. Confidence is not something that you can just get either. It is learned, constructed upon, and grows. It takes some time to get the confidence you need to be a true leader in most situations. The whole idea of natural horsemanship has taken off to a great extent in recent years. It has helped place some of the archaic and outdated training techniques to rest and for this I am thankful. Exactly like any new idea that comes along, it’s been over promoted and milked for each and every penny it could produce. I’m not a natural horsewoman. I am just a girl who attempts to have an extremely balanced and productive relationship with my own horse. The truth is if I wished to be a natural horsewoman I don’t believe I would ever place my rump at a saddle. My horses would be left running free on open ranges and I would never subject them into the training, fences, trailers, and reveals that I so frequently do. Everything people do for the most part with and also their horses is unnatural. Calling it natural doesn’t make it that way. 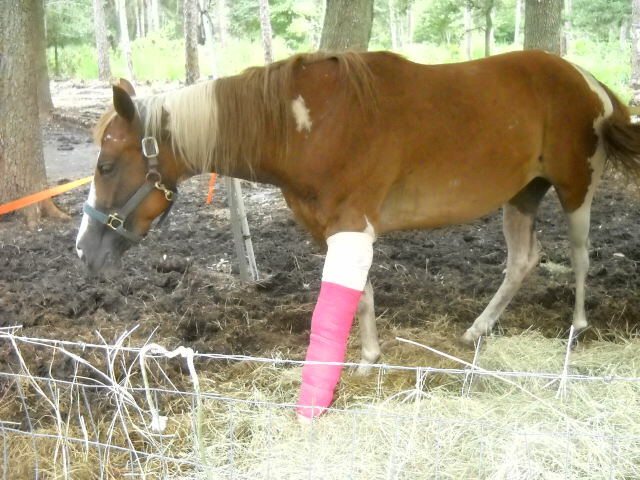 Will, sooner or later, have to care for a horse using a cut or wound. Lacerations and large cuts must be seen by the vet, and it is better to be safe than sorry, if you are not certain of its seriousness. It is not unusual for horses to graze themselves for a while and it is essential to have the ability to offer the aid it needs to your horse, waiting for the vet or while treating it yourself. Sterile saline solution is ideal for cleaning open cuts or wounds, if there’s not one of this available the hose may be used to trickle water from over the wound (not directly on the wound in the event the water pressure deepens any debris into the cut). Before a dressing is applied, the aim is to rid the wound of any bacteria. Evaluate the problem quickly and before any action is taken, is there some dirt in the wound? Are there any punctures, lacerations or bones that are broken? Is it near a joint? No issues are present and if the wound is small if needed, cut or an abrasion may be treated by you, gently remove any dirt disinfect the area then, dress with the most appropriate bandage or dressing. Puncture wounds are severe, origin, place; thickness and size are all factors which affect the severity. Use your common sense in these situations; punctures to stomach or the chest such as are likely to become severe that punctures to fleshy areas. Vets should be called immediately should you dread the horse has a severe puncture wound, or even if any debris is still stuck at the wound. Puncture wounds dressed and can be treated by you. After bleeding was stemmed, usually with the use of a sterile pad or clean fabric, the wound ought to be flushed out using saline afterward, depending upon the place; the most suitable dressing can be implemented using a poiltice dressing to assist in the drawing from any foreign bodies. As one thing so painful to observe, cribbing may also have an effect on the long run well being of any horse. Cribbing is when a horse swallows air, also called wind sucking. Horses do that by taking maintain of a stationary object, equivalent to a picket fence, metallic spherical pen, secure door or submit with their higher entrance tooth after which arch their neck earlier than swallowing air whereas making a grunting sound. Some horses don’t use an object in any respect and simply shut their mouths arch their necks and swallow air via the nostril. Nobody is kind of positive why horses do that, however, most suppose that it’s merely finished out of boredom, stress or behavior because it provides a horse a “pure excessive” that after they really feel it, the horse desires to do it time and again. Cribbing can result in plenty of issues with the horse equivalent to poor digestion, dental issues, and different gastrointestinal points brought on by sucking in air. In some uncommon situations, cribbing may even result in death if finished typically sufficient. Prevention of cribbing or deterring the cribbing is usually one of the best ways to deal with it as a result of as soon as a horse does this it isn’t simple to get them to cease. The primary strategy to stop it’s to verify your horses get sufficient train in order that they don’t get bored. Since they’re grazers by nature, when they’re caught of their stall for lengthy intervals of time, they develop into confused and inevitably bored. On the lookout for one thing to do, as soon as they determine that they’ll do it, it isn’t typically stopped and worse but, as soon as different horses see one do it, they might wish to do it themselves. You might wish to give your horse one thing to play with, enable them to graze extra in as massive of a pasture as doable, or discover some leisure on your horse to maintain him occupied. Neem oil, Neem bark extract in addition to different Neem merchandise work as an anti-inflammatory, anti-viral treatments however in this case, they’ll additionally work as deterrents for cribbing. It is because stress is a significant component in what causes cribbing. Stress may be brought on by ache, discomfort, and even simply not feeling good. Identical to people, horses are ok with themselves when they’re cleaned and properly taken care of. When they don’t seem to be, it results in stress which in flip can result in cribbing. By washing a horse with Neem cleaning soap steadily, relieving any discomfort with Neem oil and simply usually holding them properly groomed, horses shall be happier and due to this fact extra content material, even when left in a stall for an extended time period. Together with Neem, utilizing a cribbing strap positioned across the horse’s neck may also work to stop cribbing. Making them much less confused general and giving them extra to do in the course of the day, the cribbing may be lessened which in flip provides you a more healthy horse. There may be a number of reasons why you would like to board their horse at a secure that is professional. They wish to get a horse although one of the reasons is that people don’t have their own stables. The men and women having the money look at purchasing a pony to their kids. People who remain downtown don’t locate the location to get a horse. For below are a few benefits of having stables boarding at Fort Worth. A horse boarding stable’s advantage is professionals conducted it. These folks have years of experience your creature can get. Any creature will have the ability to feel that the handler is inexperienced which makes them responsive and uncomfortable. This uneasiness creates a creature fidgety which makes it harmful to manage. The horses will probably feel protected with a skilled handler remaining secure and calm. A horse boarding stable’s major benefit is that with this amount of professionalism includes a high degree of responsibility. 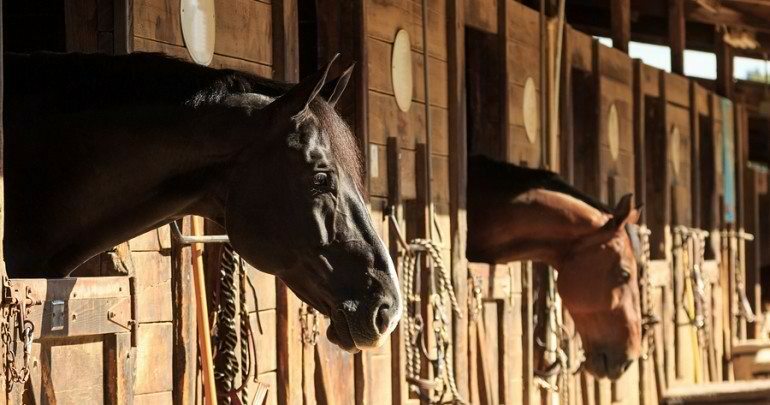 The legislation states that these horse boarding stables at Fort Worth has to be enrolled companies. To be able to operate some nations, on the other hand require licenses or licenses. This just gives assurance of this fact your horse is going to be set in great hands to you. The point and the next is that there stables employ full time personnel ensuring your home get the care one day for twenty four hours. There’s always someone. The benefit a horse has is they have a vet on call. In the event your creature may fall sick, the secure will make sure your horse won’t endure considerably. It’ll be well cared for. 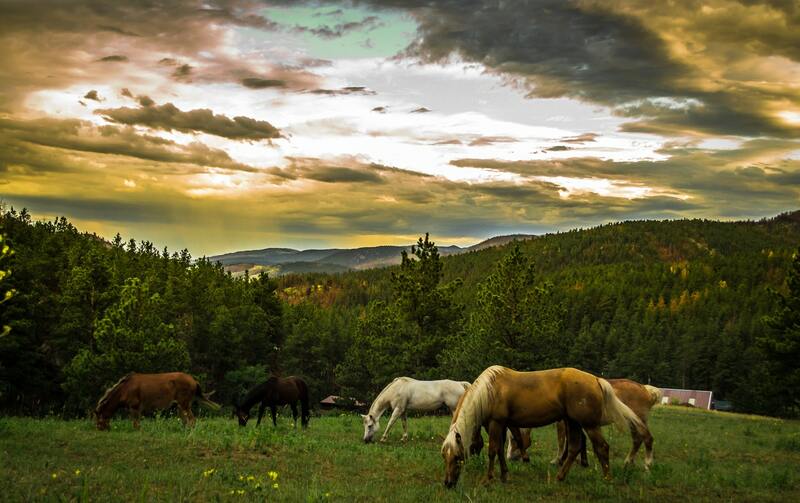 Last, since it is going to have the company of horses, your horse is certain to be joyful and can operate together. There are paddocks offered in stables that provide some time to the horses. This is helpful for the well-being of the horse. 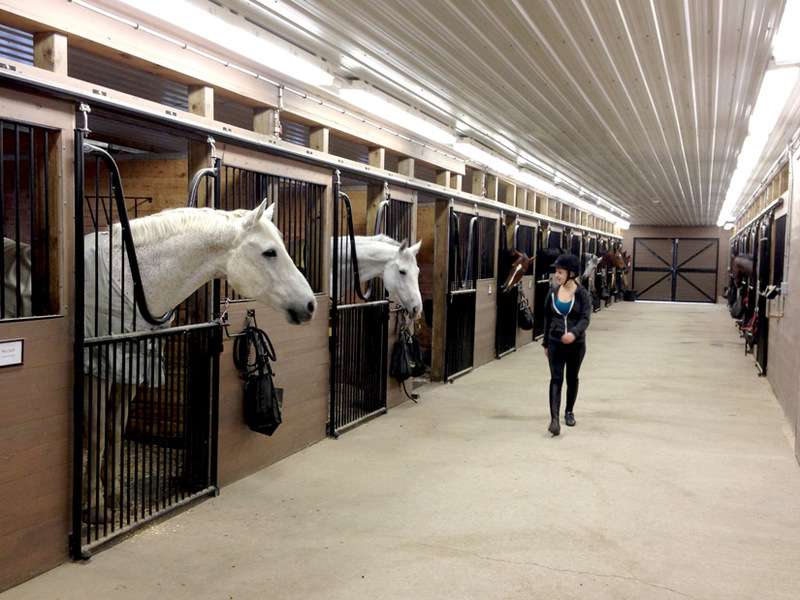 It isn’t hard to find horse boarding stables that are efficient at Forth Worth. It is crucial that you take the above points under consideration. The historical past of horse racing fields present in India dates again to British Colonial Empire. Racing has been an approach of leisure for a lot of centuries in India. In historical occasions, kings and different dignitaries used to entertain themselves by watching horse racing. Racing between completely different empires was a technique to present superiority of 1 empire over one other. Horses had been thought-about to be superb associates of human beings within the historical occasions, the place quick communication was solely potential with horses. Nonetheless, in deserts, camels had been used for quick transportation in desert areas attributable to their skill to retailer water inside them. The British Colonial Empire throughout their two centuries rule in Indian subcontinent launched some good high-quality horse racing fields in India. A few of these fields are even used until date. Amongst such horse racing fields constructed throughout British regime is the Mahalaxmi Race Course in Mumbai and Calcutta Racecourse. These racing fields nonetheless exit and probably the most essential playing video games are performed in India in these race programs. The Mumbai racecourse is the house of the well-known Indian Derby which dates lengthy again to the yr 1943. Since its beginning days, the glory of Indian Derby has been growing ever yr. This grand occasion is often celebrated within the month of February on a Sunday. Since its begin, the very best jockey until the date has been Mr. Rashid R. Byramji, who has received the title eleven occasions. Following him is Mr. Pesi Shroff, who received this title eight occasions. Many horses additionally made their names on this racing floor by successful this race. The stakes within the horse racing fields are ever-increasing. The playing quantity in addition to the prize quantity went to its highest stage in 2011 when McDowell sponsored the occasion. Many wealthy and rich individuals from royal households used to take eager curiosity in these horse races. However, now the widespread individuals have additionally begun to take curiosity in such video games. The betting quantity within the Indian Derby can be on the rise with widespread individuals taking part on this gamble. The breed of horses that take part in the race and do nicely is a matter of curiosity to many stallion house owners all around the world. One of the best horses is offered at a really excessive value to prospects or individuals who need the breeding rights of those horses. The breeding rights of any successful horse can earn an enormous value to its proprietor. Although racing is a career of many individuals however it’s and all the time was the pastime of wealthy and rich royal households. Sustaining these horses is sort of costly. The particular breed horses want lots of care. The meals that they eat must be excessive on vitality stage and should include a good quantity of vegetable protein in them with a view to maintaining their muscle tissue in the correct situation. The funding on this horse racing enterprise provides a good return to solely those that perceive their horses nicely and take excellent care of their well being.